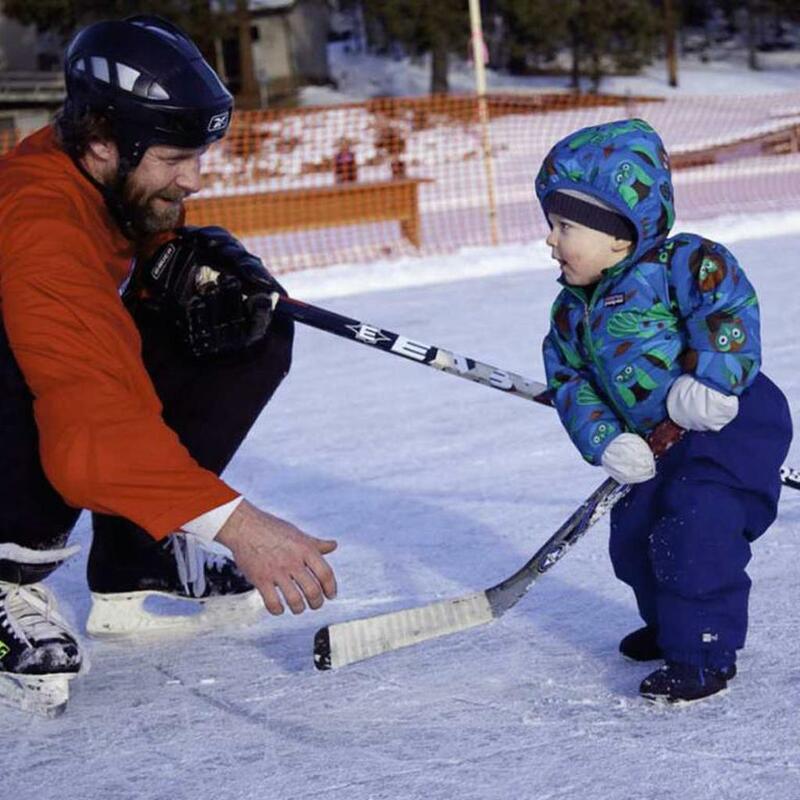 The Seeley Lake Pond Hockey Tournament (SLPH) is a USA Hockey sanctioned tournament that is designed as a fund raiser for local charities as well as a weekend to bolster local commerce in Seeley Lake. As we enter into our 9th year, the SLPH tournament has donated close to $7,500 to help bring both young aspiring hockey players into the sport, as well as increase resources to allow our local grade school to better access kinetic sports. We strive to raise money for local organizations and provide an opportunity for kids to be exposed to, as well as learn to love, the great sport of ice hockey. 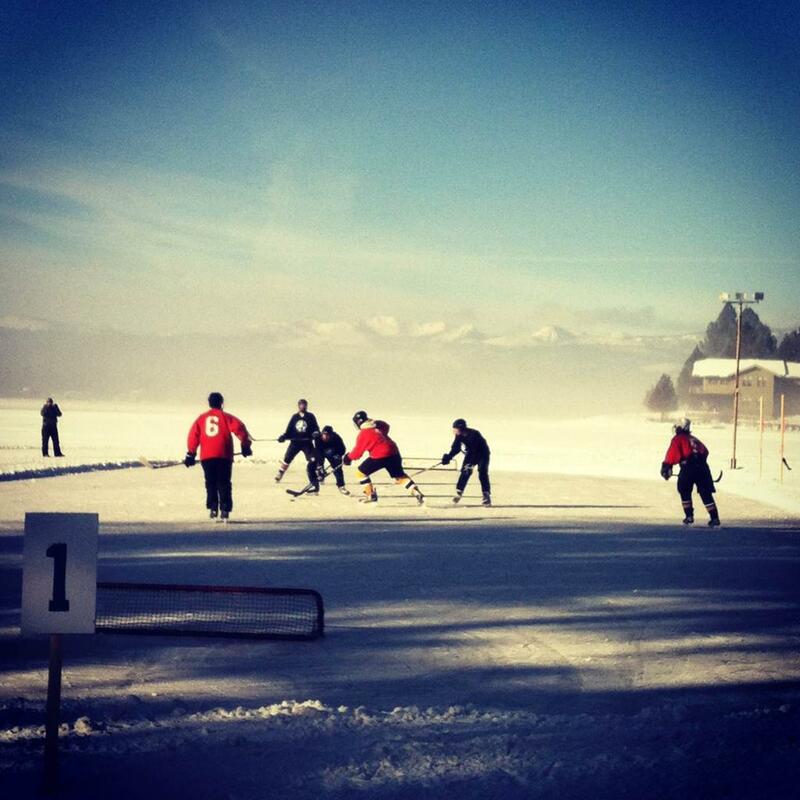 The tournament got its start from a group of dedicated locals who would get together every year playing “broomball” on the frozen tundra of Seeley Lake, MT. Since these humble beginnings, the tournament has developed into one of Seeley Lake’s premier events. This year we will host 44 teams participating from all around the U.S. and Canada. We are proud of our continued commitment to provide a quality run tournament in the greater Montana area. We are also proud of our track record as a supporting partner to Seeley Lake ROCKS and Missoula Area Youth Hockey Association. Bringing business to town in a normally depressed time of the year. Lindey's in Seeley Lake, MT was built in 1978-1979, and opened in the spring of 1980. Lindey's is still owned and operated by Mike Lindemer, the middle son of Lewis "Lindey" Lindemer the original founder. You will find Lindey's located on the scenic Highway 83 N. In the heart of downtown Seeley Lake between the Mission Mountains and The Bob Marshall Wilderness about 50 miles northeast of Missoula, MT. the reader-sided building sits not he east bay a-top the hill overlooking the lake. Mike, his wife Jenny, and manager Karl ZurMuehlen, have been working together at Lindey's for over 20 years! Exact Image is a locally owned and operated business in beautiful Missoula, MT. They will provide you: Marketing, Graphic Design, Screen Printing, Embroidery & Promotional Products. Their diverse team of marketing professionals are knowledgable, precise and will help you navigate the unlimited possibilities for your event or business. They take pride in providing their clients with EXACTLY what they need. Having issues with your electricity? Need and extra outlet or breaker? Looking to upgrade or build? Give Brett Nogay "Sparky" a call, he will take care of all that! ©2019 Seeley Lake Pond Hockey / SportsEngine. All Rights Reserved.